Craigslist is a cool place to buy and sell stuff, it has a massive audience and you don’t have to pay the listing fees that Ebay charges. On the downside, though, Craigslist doesn’t have any method for conducting auctions, a proven way to get a good price for whatever you’re selling. 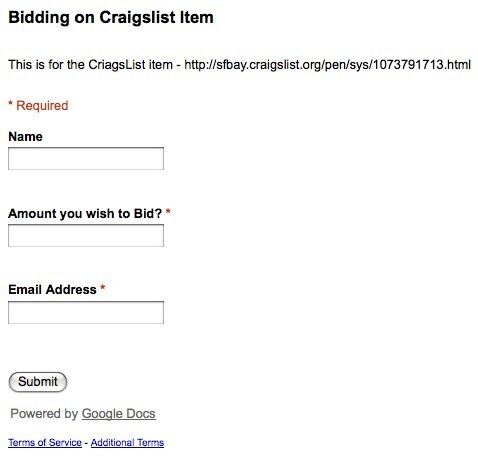 My friend Keith Teare solved that problem, though, by using a combination of a Craigslist listing for a computer he wanted to sell with a Google Docs spreadsheet and form to take bids on the item. Here’s how he did it. 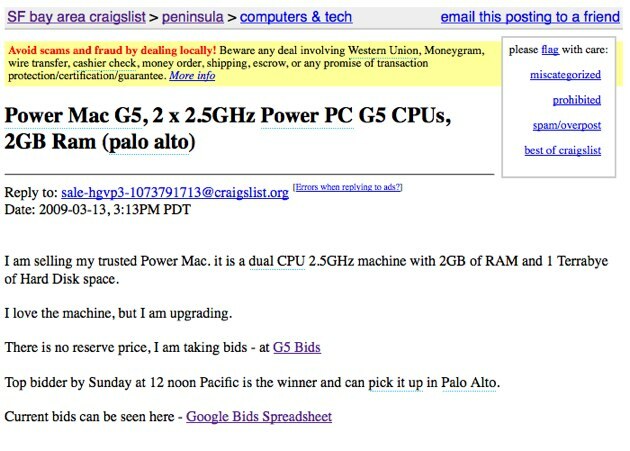 Here’s the listing for his Power Mac G5. 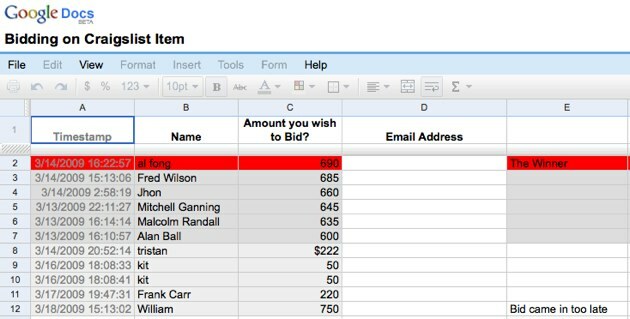 He points to a form (created with Google Docs) to accept bids, and a read-only spreadsheet showing the various bids. Each entry was timestamped, so he was able to cut off bids at the appropriate end time. Bids ranged from $50 to $750 (although the high bid came in too late). The final price was $690. A total of 11 bids were placed.